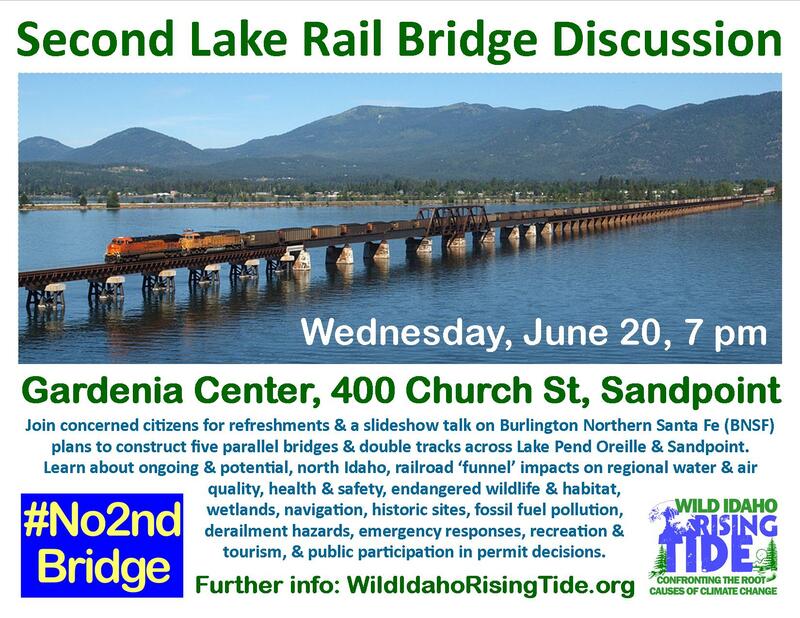 Together, we plan to explore and consider the significant impacts of Burlington Northern Santa Fe (BNSF) Railway’s Sandpoint Junction Connector proposal to construct two temporary and three permanent, parallel bridges and two miles of doubled tracks across the lake, Sand Creek, and Sandpoint. The project would affect regional, lake and aquifer water resources, air quality, noise, public and environmental health and safety, indigenous rights, wildlife, fish, and threatened bull trout and their habitat, wetlands and shorelines, historic sites, vehicle passage, boat navigation, recreation and tourism, businesses and residences, and other, public interest factors. For further event information and issue updates, please visit the WIRT facebook and website pages and outreach tables at Sandpoint and Moscow farmers markets and public events during the emerging season, contact us with your concerns, and print and post the accompanying flyer. We hope to talk with you and provide printed material about this critical situation on all of these occasions! 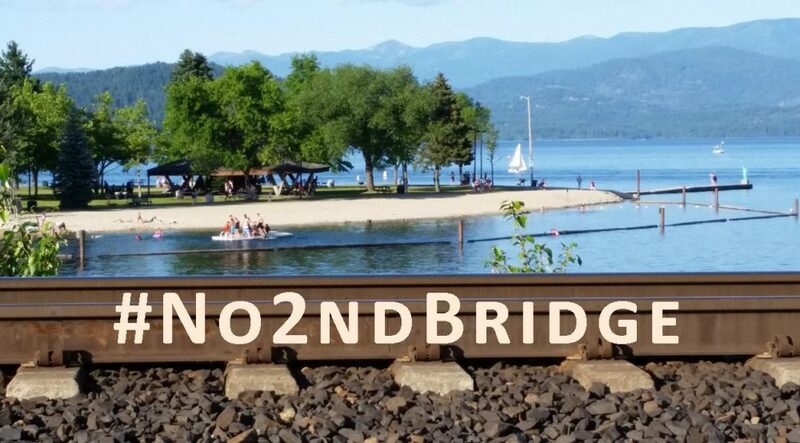 Ask the state and federal agencies reviewing BNSF applications and deliberating permit decisions to fully analyze this railroad expansion with an environmental impact study and statement, as requested by the Sandpoint city council and mayor. Thanks! #No2ndBridge! This entry was posted in Coal/Oil Trains/Ports, Events by WIRT. Bookmark the permalink.